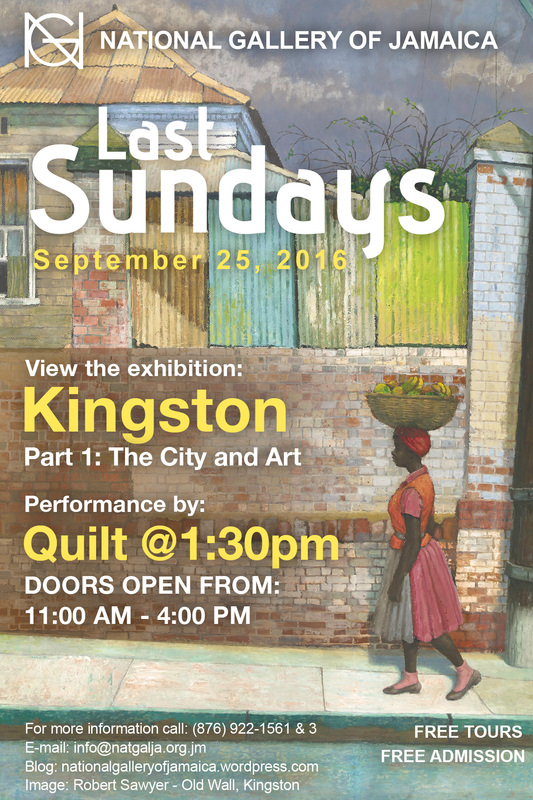 The National Gallery of Jamaica’s Last Sundays programme for September 25, 2016, will feature a performance by the award-winning Quilt Performing Arts Company and guided tours of the Kingston – Part 1: The City and Art exhibition. 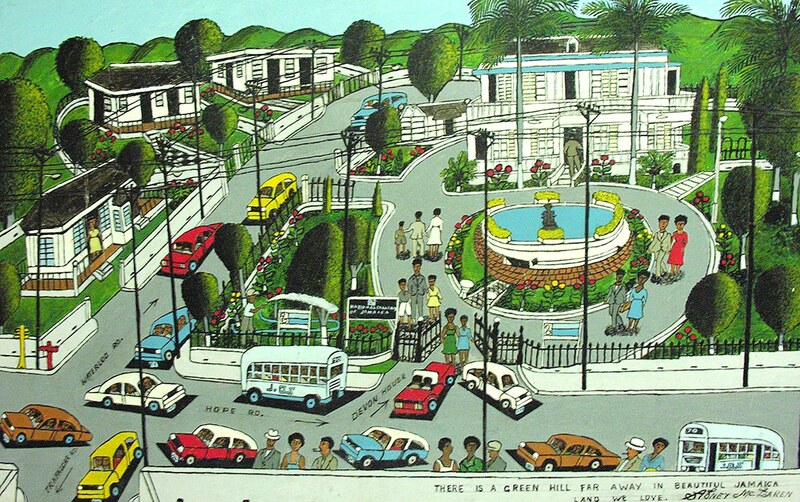 Kingston – Part 1: The City and Art examines how Jamaica’s turbulent capital city has generated many of the circumstances and opportunities that have propelled the development of Jamaican art, from the natural resources to the economic activities and institutions and the events, big and small, that have marked the city’s history. 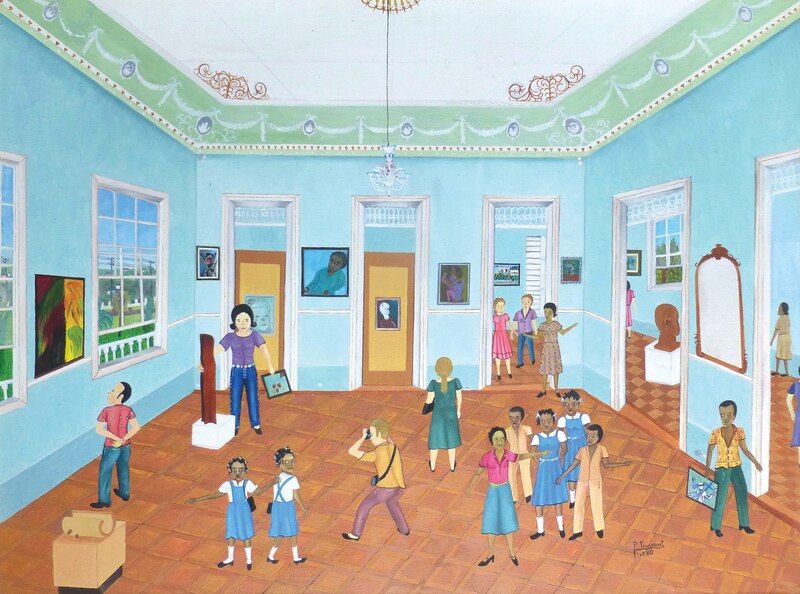 The exhibition features works of art that date from the late 17th century to the present day and portrays life in the city in all its diversity, seen through the eyes of artists such as Isaac Mendez Belisario, Sidney McLaren, David Pottinger, Osmond Watson, Carl Abrahams, Andy Jefferson, Edna Manley, Cecil Baugh, Kapo, Michael Lester and Roy Reid. 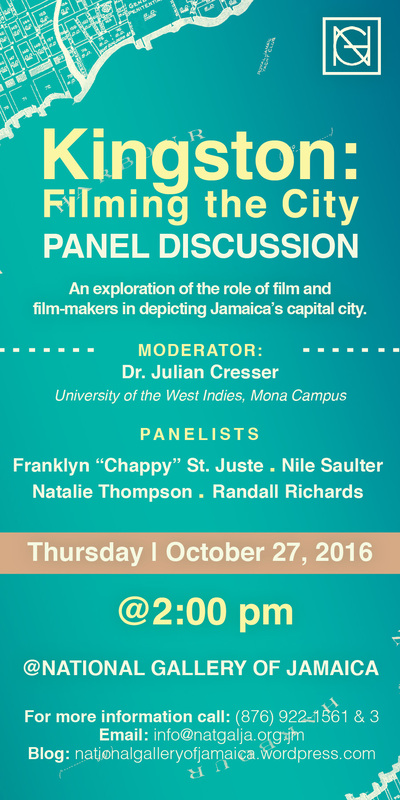 The exhibition also features the iconic Jamaican feature film The Harder They Come (1972, dir. 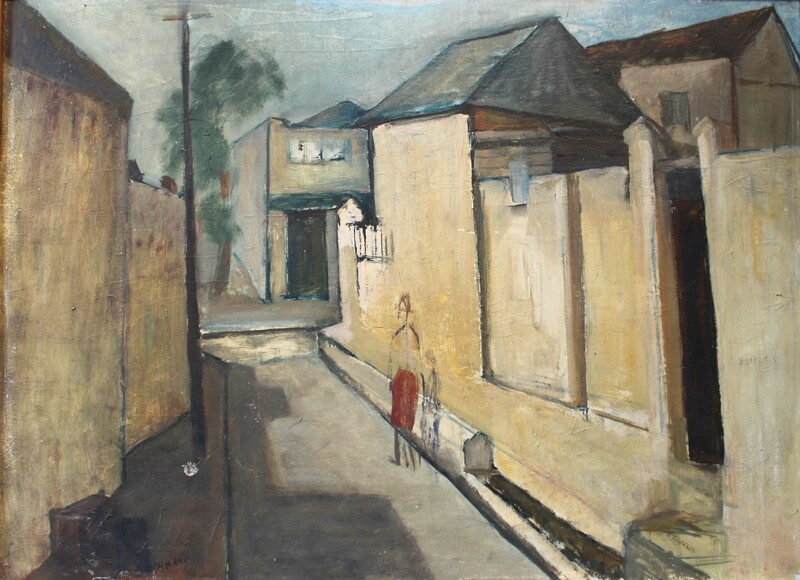 Perry Henzell), which is in many ways also a portrait of Kingston and, particularly, a time capsule of life in the city in the late 1960s and early 1970s. 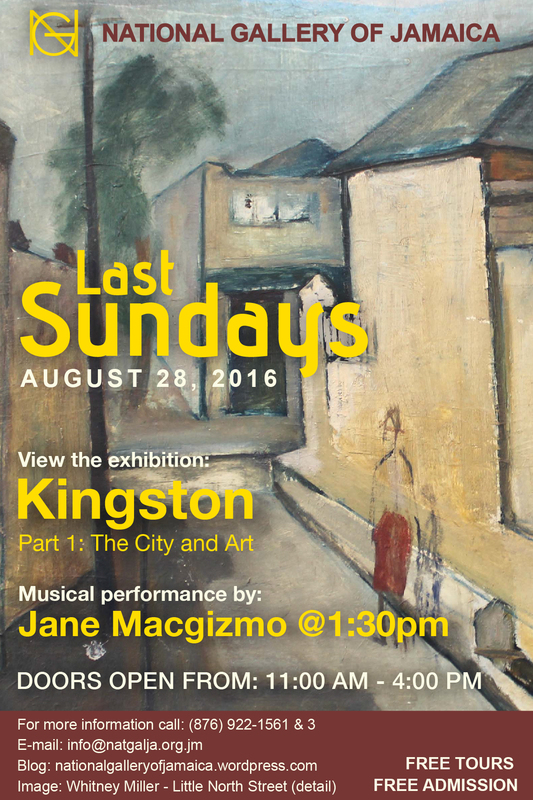 Kingston was curated by National Gallery Assistant Curator Monique Barnett-Davidson and continues until October 30, 2016. The Quilt Performing Arts Company was born out of a need for a fresh, new, innovative way of creating performance art. Using Caribbean rhythms, merging poetry, dance and music, the Quilt performers have developed their own unique performance style and an evolving devised theatre technique. The performance at Last Sundays on September 25 will of consist Revolution (2016) and a new work that is yet to be titled. 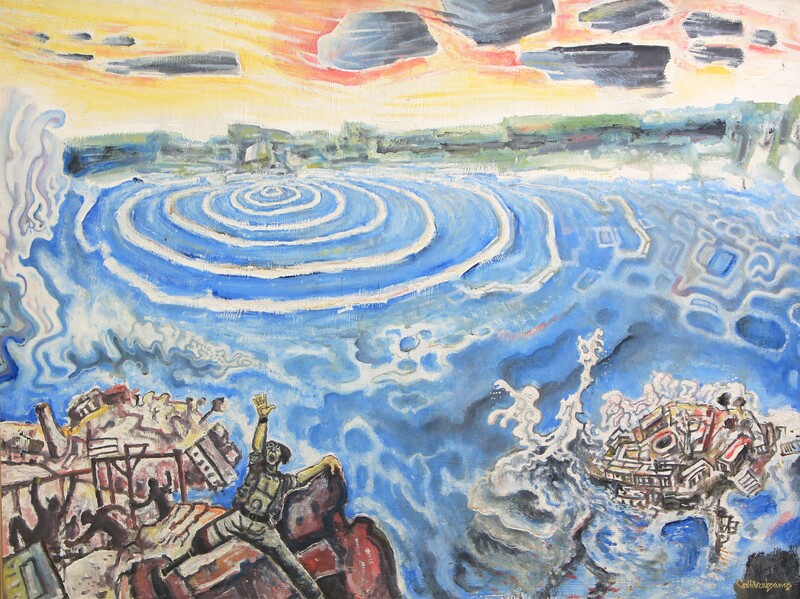 Revolution looks at hegemony and the ‘zombification’ of the human race. It travels through stage vignettes from the slave ships to the sound boxes of Kingston. Artistic director Rayon Mclean and his team continue break boundaries and redefine performance spaces. 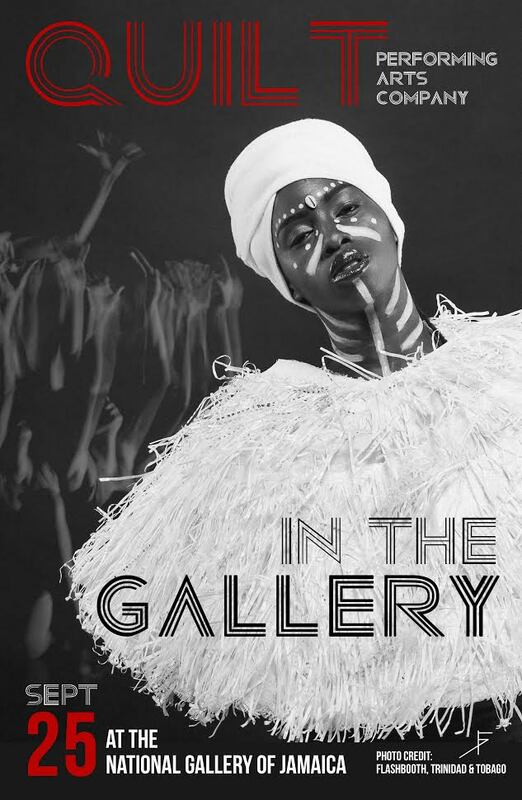 This is the company’s second time in the National Gallery and the members are pumped up about serving of cocktail of art and heart. The National Gallery’s doors will be open from 11 am to 4 pm on Sunday, September 25, 2016 and the Quilt performance will start at 1:30 pm. Admission and guided tours will be free, but contributions to the National Gallery’s donations box are gratefully accepted. The National Gallery gift and coffee shops will also be open and the gift shop is stocked for the Christmas gift-buying season. Proceeds from these ventures help to fund exhibitions and programmes such as Last Sundays.